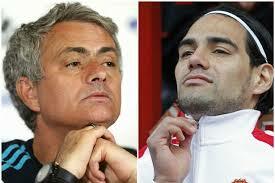 Chelsea manager Jose Mourinho has confirmed his interest in signing Radamel Falcao. The Colombian striker sensationally joined Manchester United on transfer deadline day in September, but he struggled during his season-long loan, scoring just four goals for the club. Following his release back to Monaco at the end of the season, Falcao expressed a desire to remain in the Premier League and he has frequently been linked with a move to Chelsea. Mourinho has now confirmed he is interested in signing the play and has vowed to do all he can to get him back to his best. “If I can help Falcao reach his level again, I will do it,” Mourinho told DirecTV Sports.